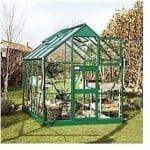 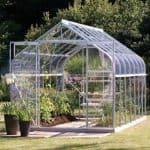 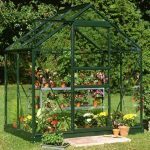 This 14 x 8 greenhouse has plenty of features that make it a very valuable part of any garden, but to pick out one, it is worthwhile considering the roof vents that are included. 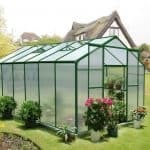 There are four of them, and you can open these on a summer’s day to bring in ventilation to the interior. 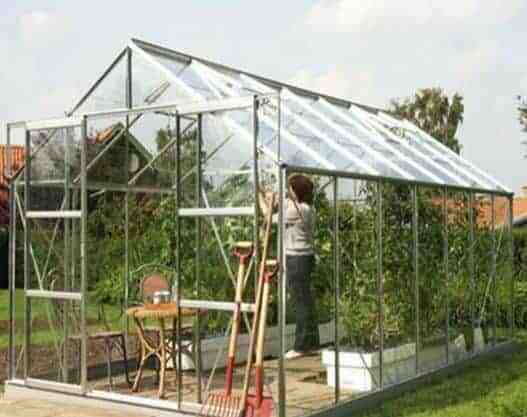 There are also higher eaves than normal, and this gives you more head height in the building. 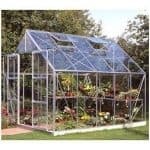 It also allows for much more growing room, especially when you have taller plants. 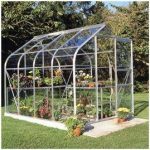 The greenhouse has extra tough bracing in the structure, this means you get a tougher, more durable construction that will give you many years of growing satisfaction and enjoyment.